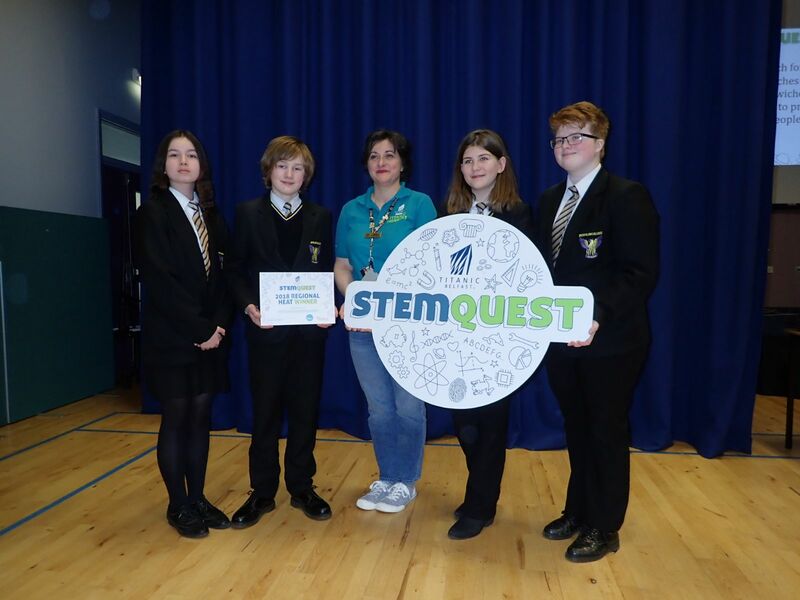 Big Congratulations to BIC Team 1 who were joint first this morning with St Marys at the regional heat of the STEMQUEST Quiz – they are through to the final at Titanic Tuesday 20th February. Amy McClelland, David Winter, Katie Ann Fegan, Yasmin Lieu. Our other team also did incredibly well who came 6th place out of 10. Schools represented this morning were: Omagh Academy, St Marys, Markethill HS, Dromore HS, Royal School Dungannon and St John the Baptist. Very well done to all the pupils this morning – very proud of them all! The maths round and geography round were extremely difficult.